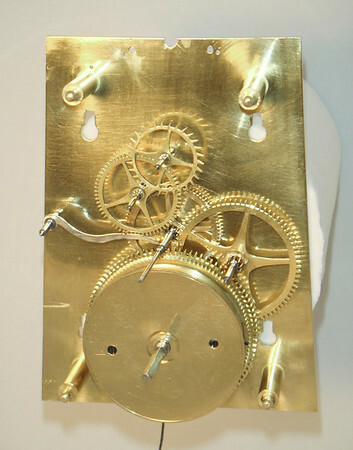 A classic example of a month-duration Biedermeier mechanism - which is to say a truly stunning mechanism. As you look at the pictures, note the location of the front pivot for the anchor/verge - right at the very upper edge of the front plate! I was talking to a visitor earlier who commented on the "elegant simplicity" of the Viennese month runners - can't put it any better myself.